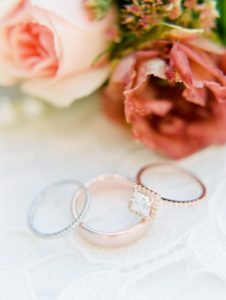 Booking with Artistic Flowers and Maryam was one of the best choices ever in regards to our wedding day! 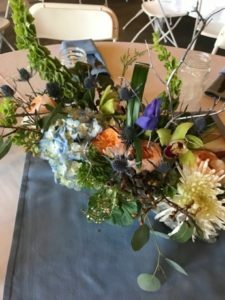 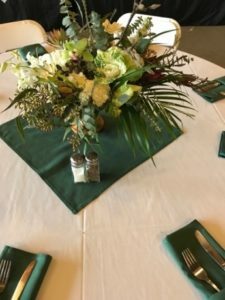 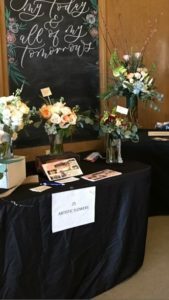 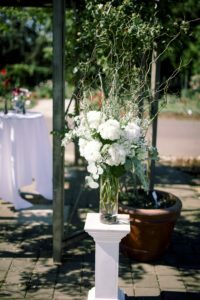 Maryam’s expert advice when it came to all things flowers, colors, and centerpieces was SO helpful and much needed. 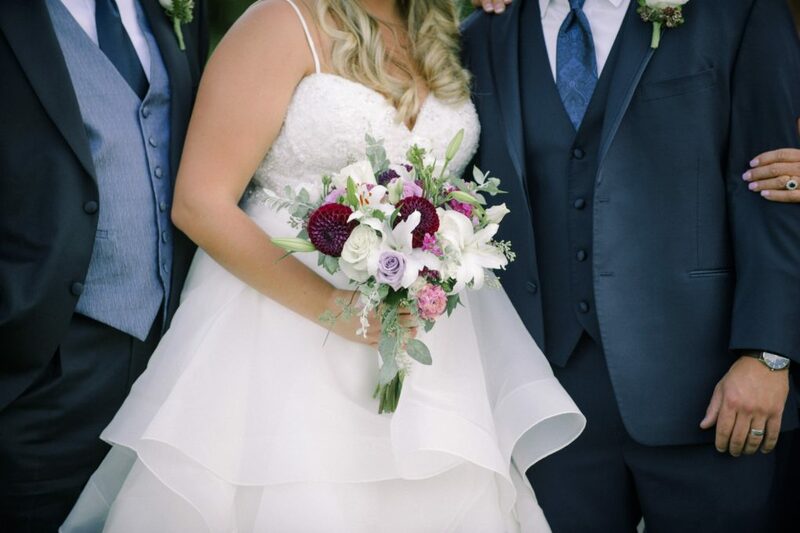 Her wisdom, kindness, and direction is top of the line, not to mention, the flowers all turned out absolutely GORGEOUS!!! 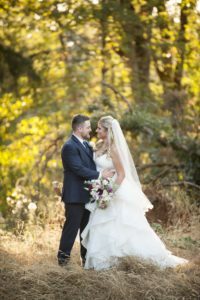 I couldn’t recommend Maryam and her team more highly! 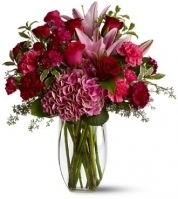 Treat your sweetheart this coming Valentine’s Day! 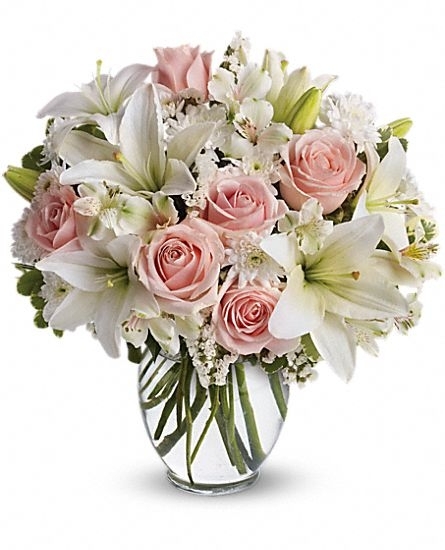 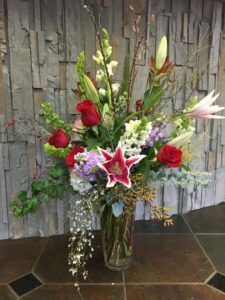 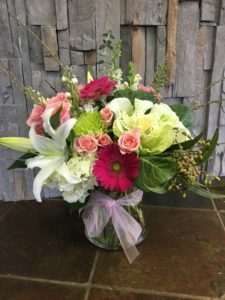 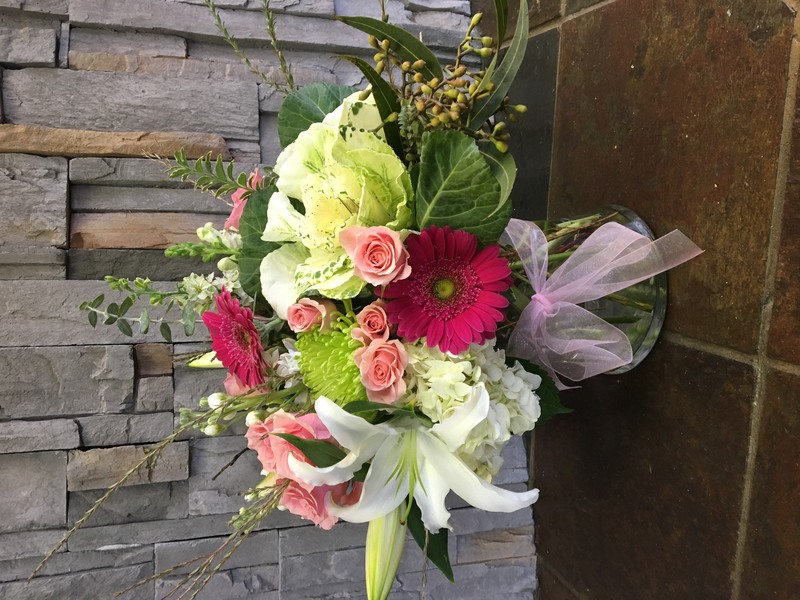 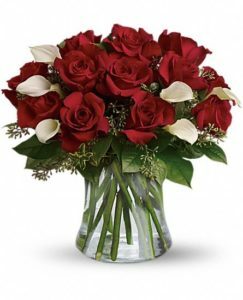 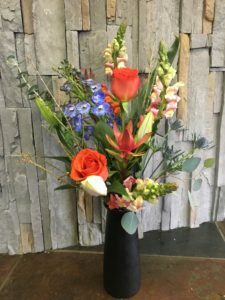 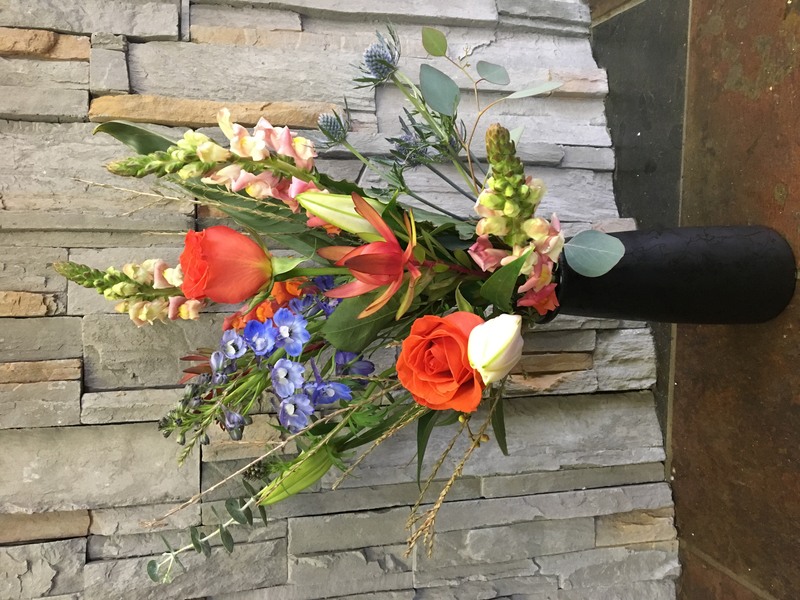 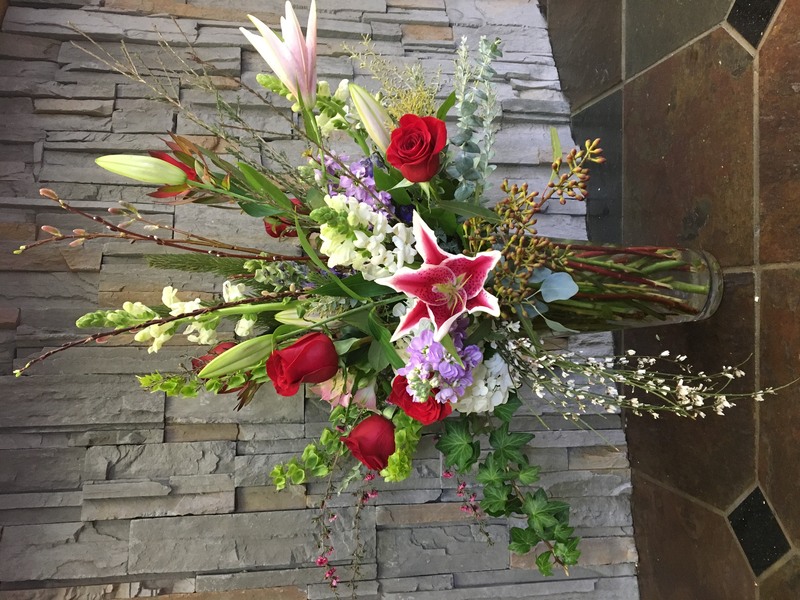 Pre-order your flowers today online! 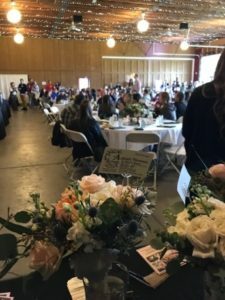 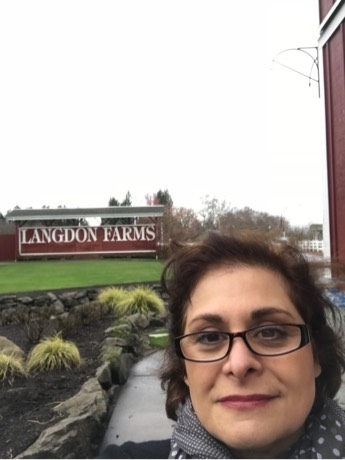 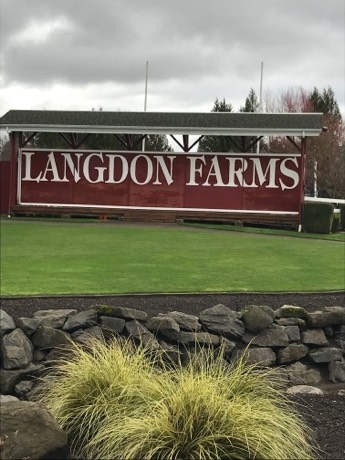 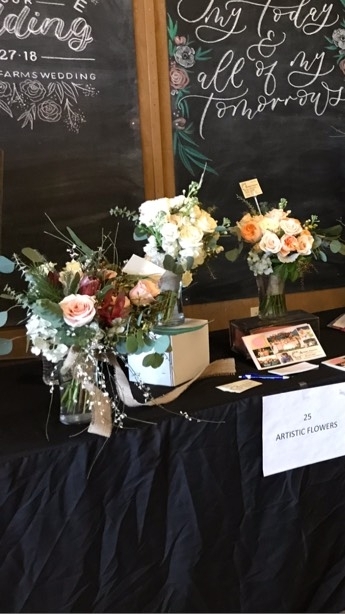 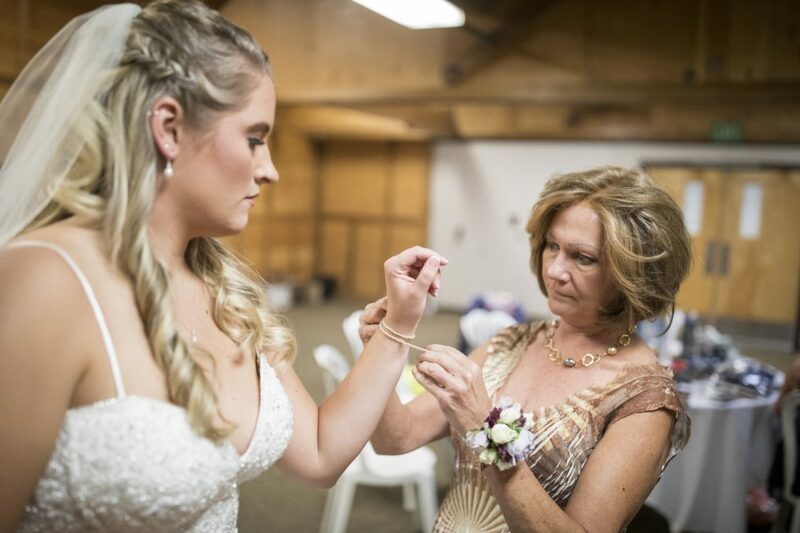 It was a beautiful weekend at Langdon Farms Wedding Showcase! 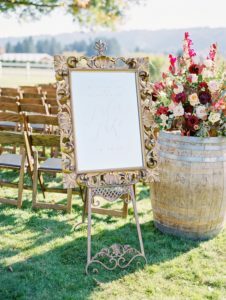 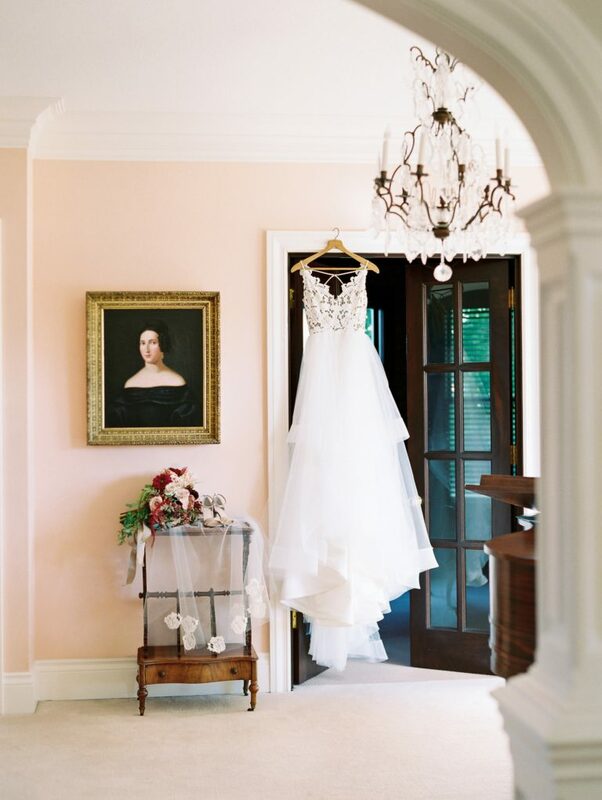 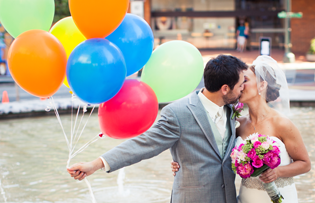 We loved all of the wedding inspiration! 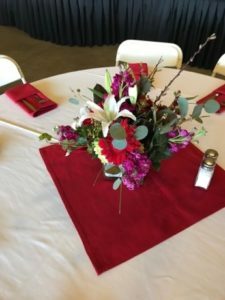 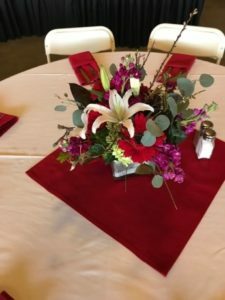 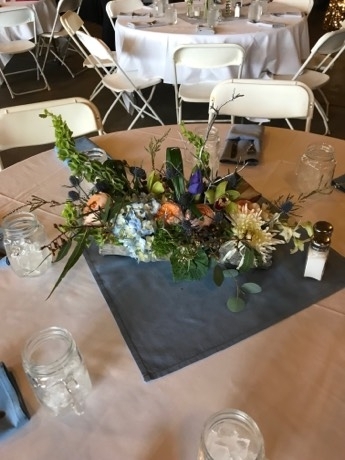 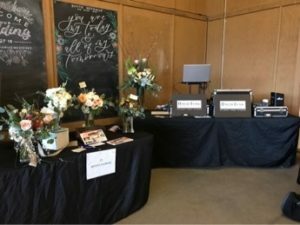 Our centerpieces and bouquets ranged from elegant and chic to ravishing and unique! 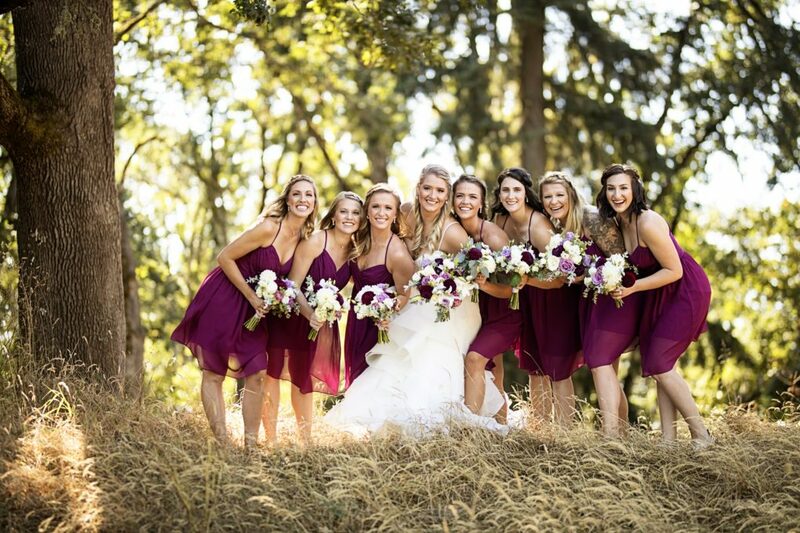 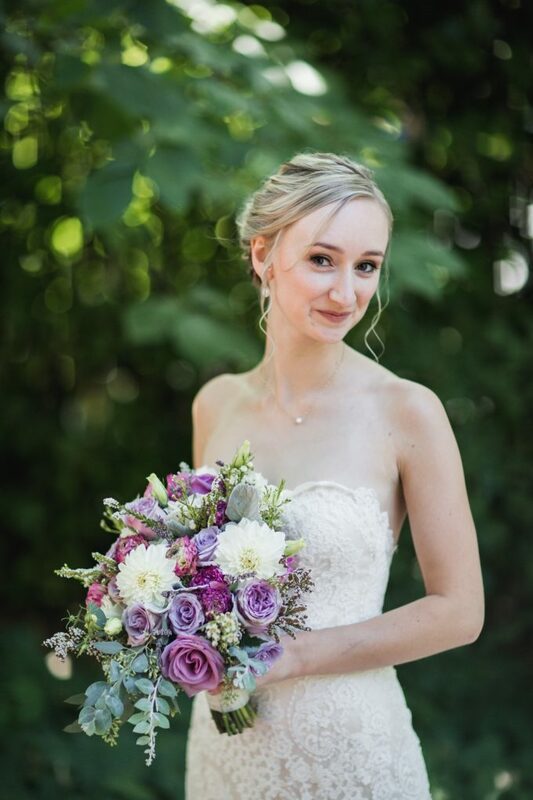 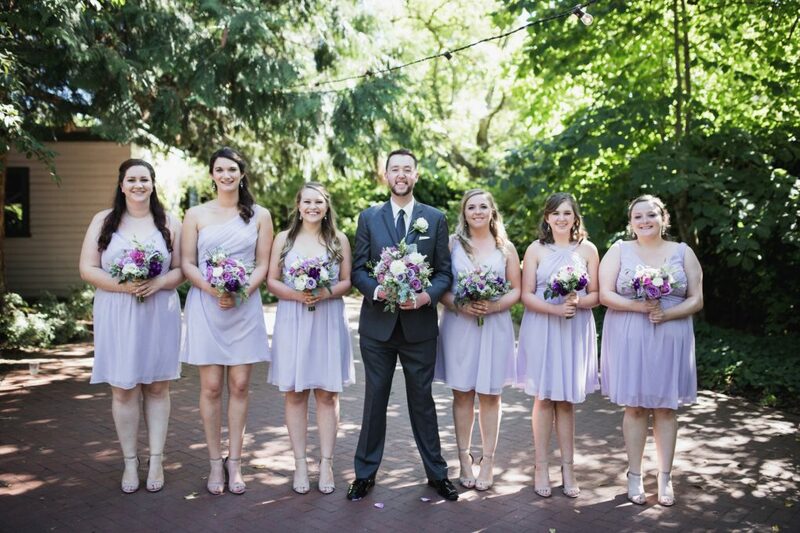 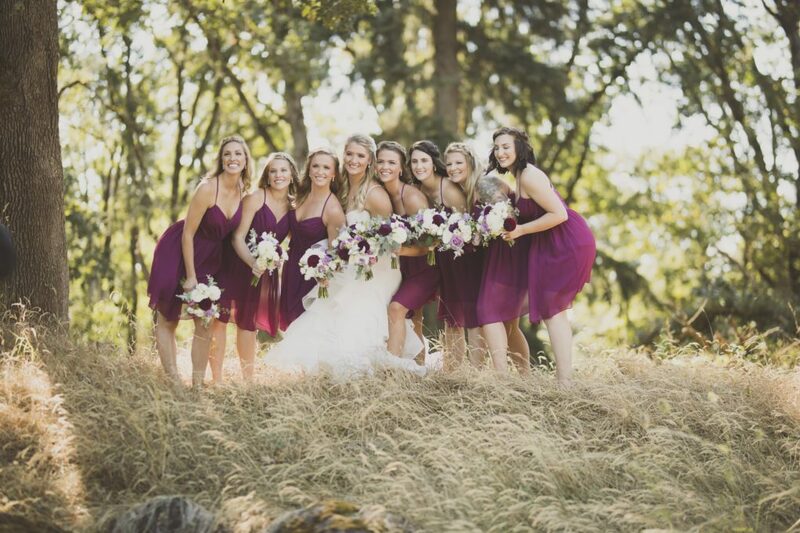 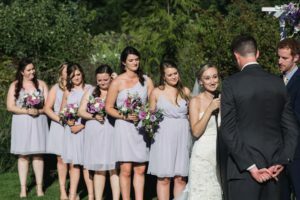 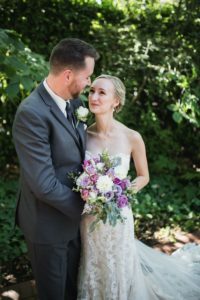 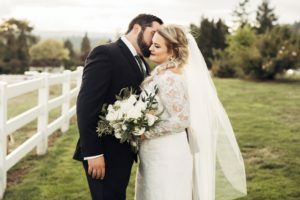 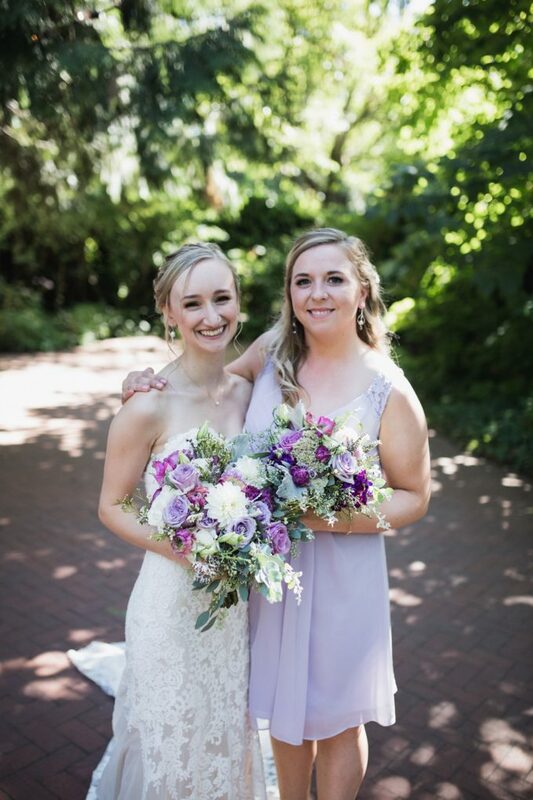 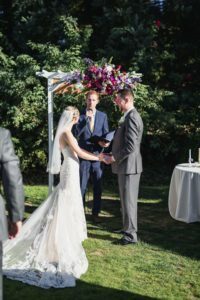 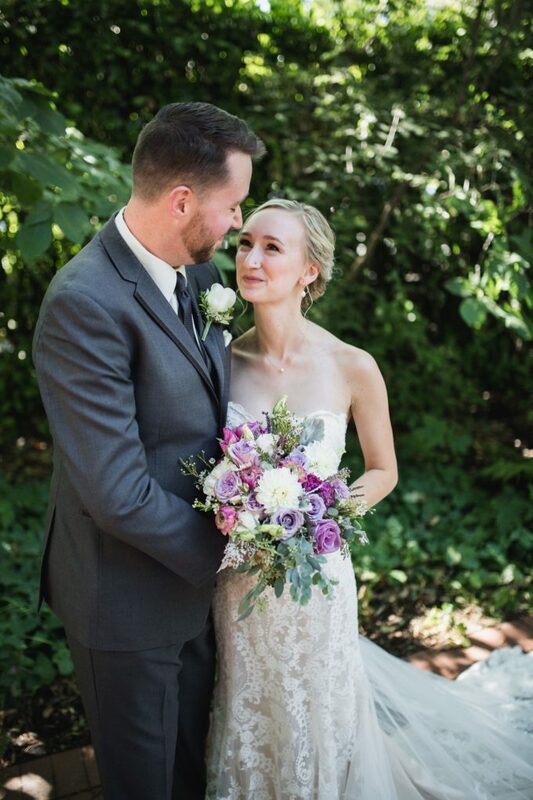 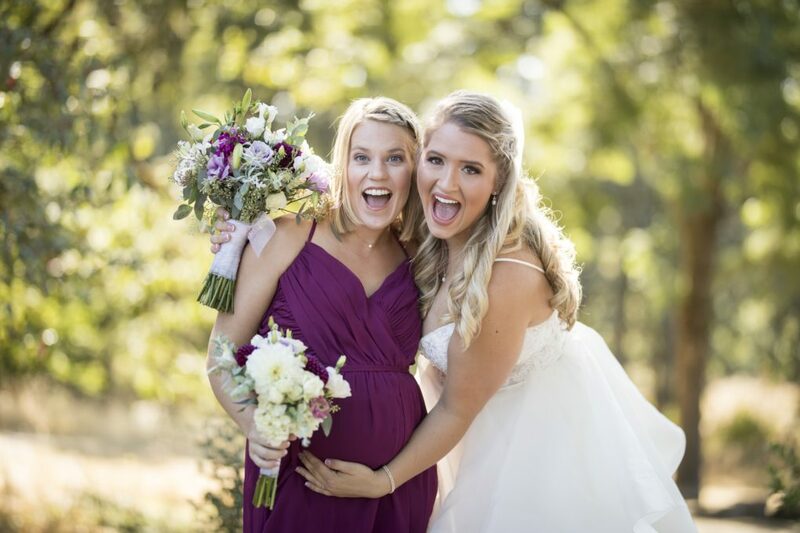 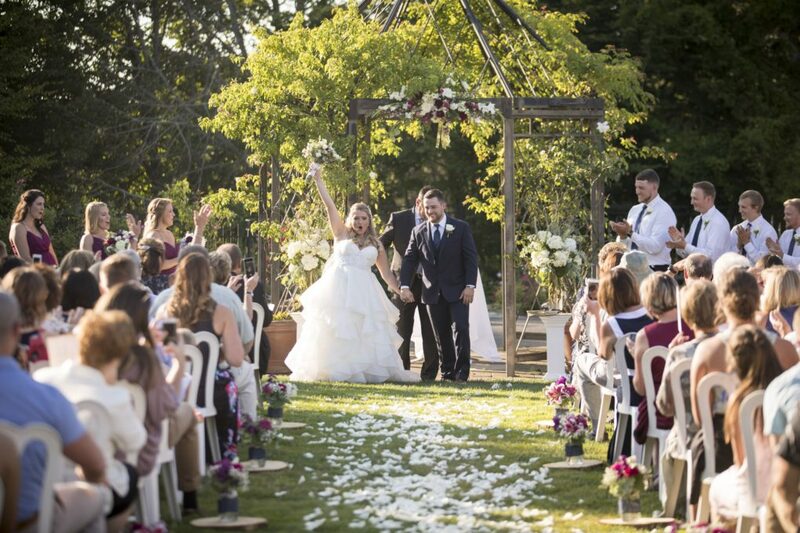 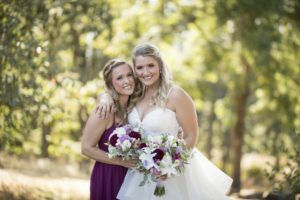 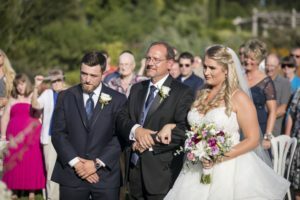 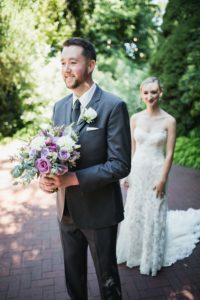 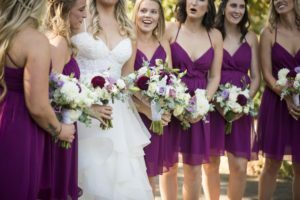 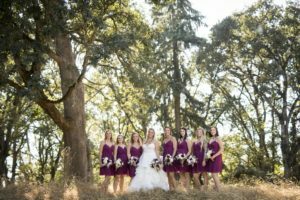 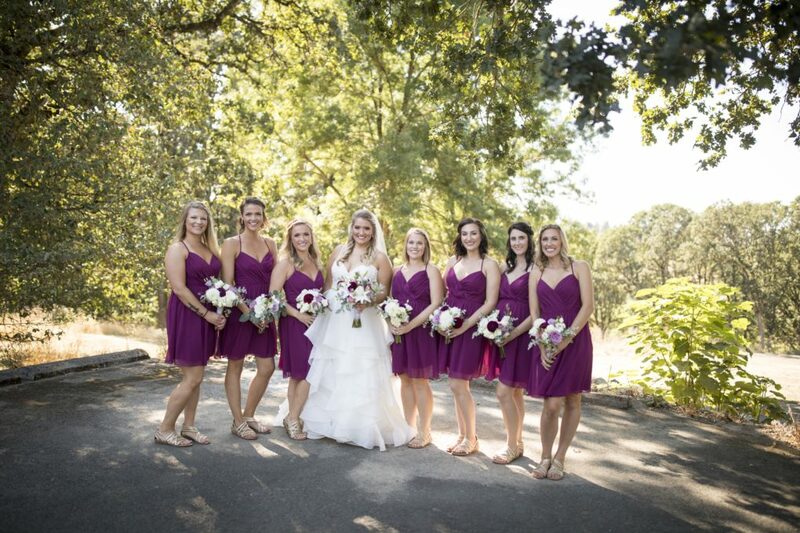 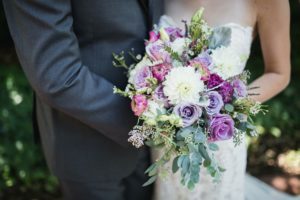 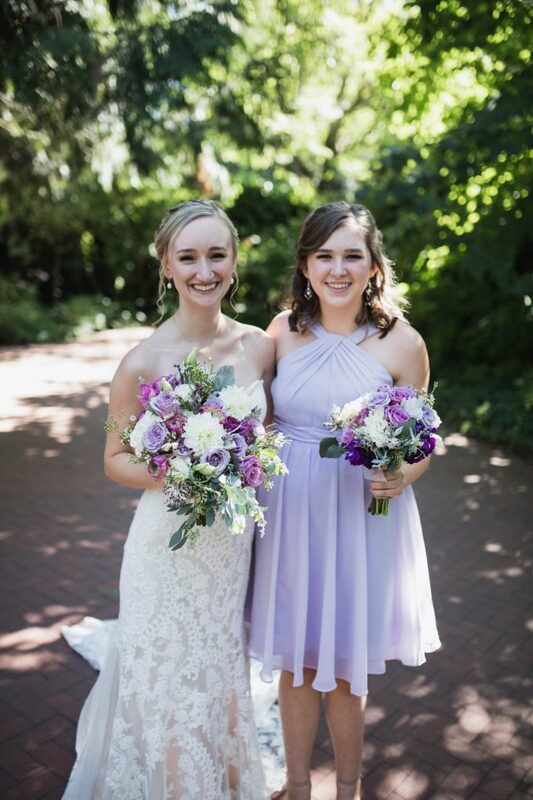 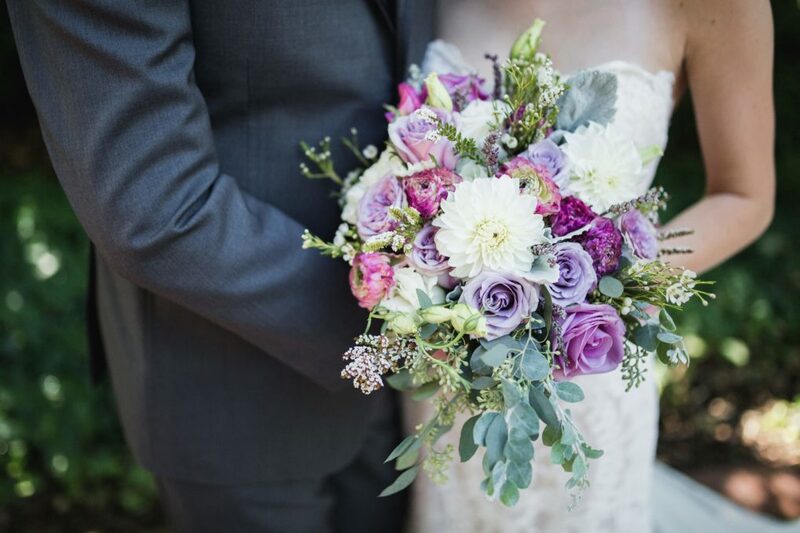 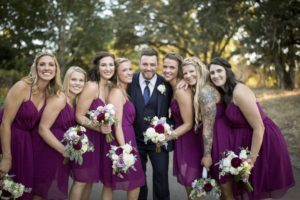 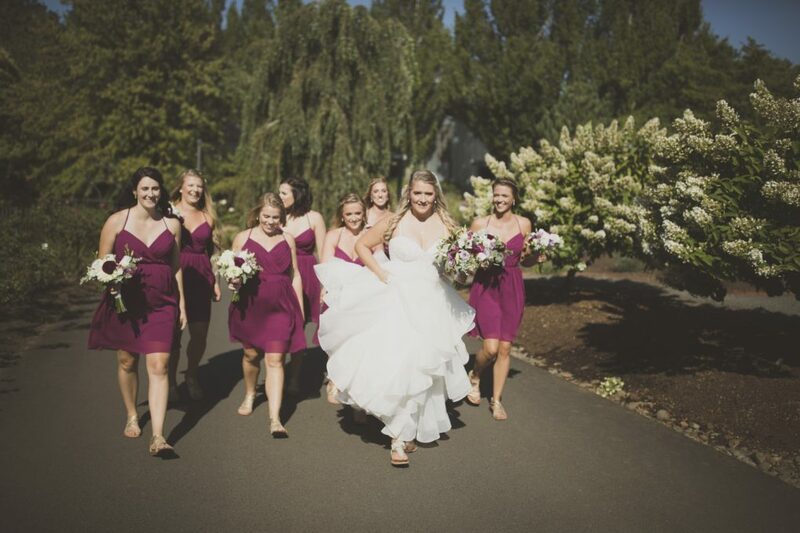 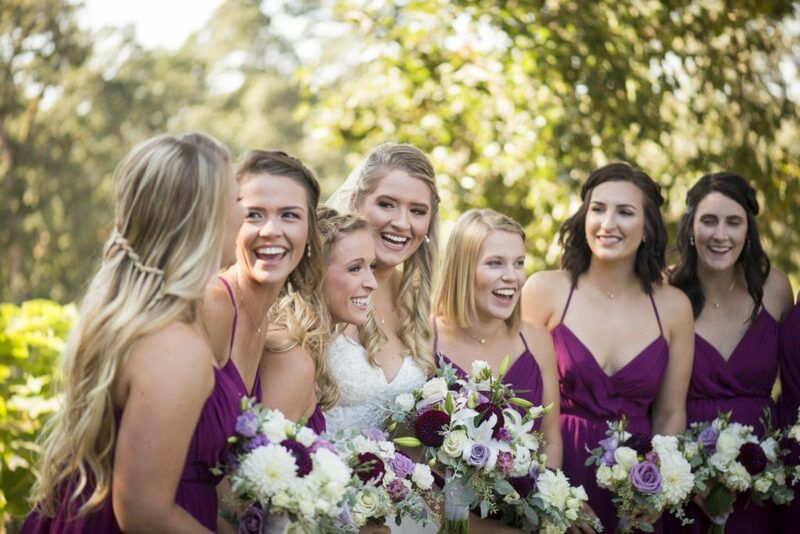 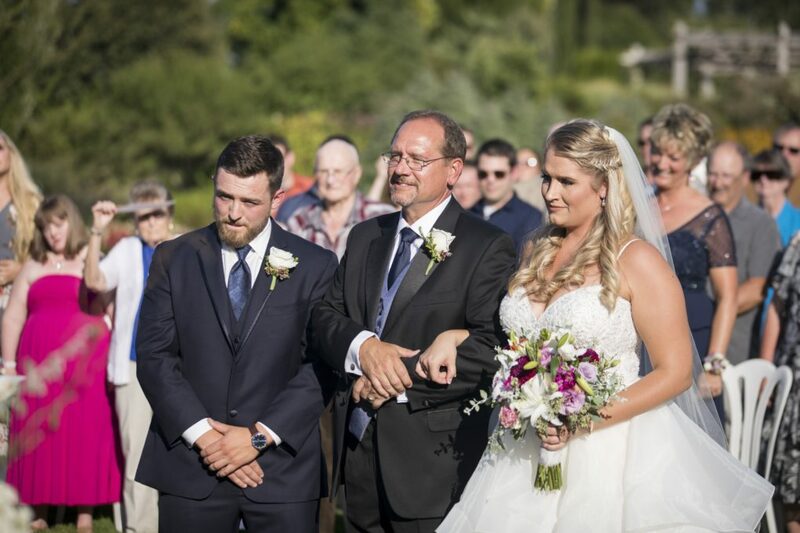 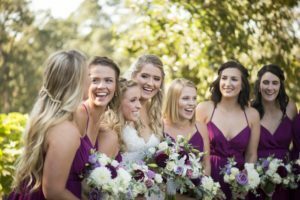 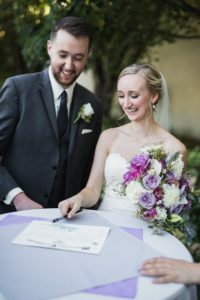 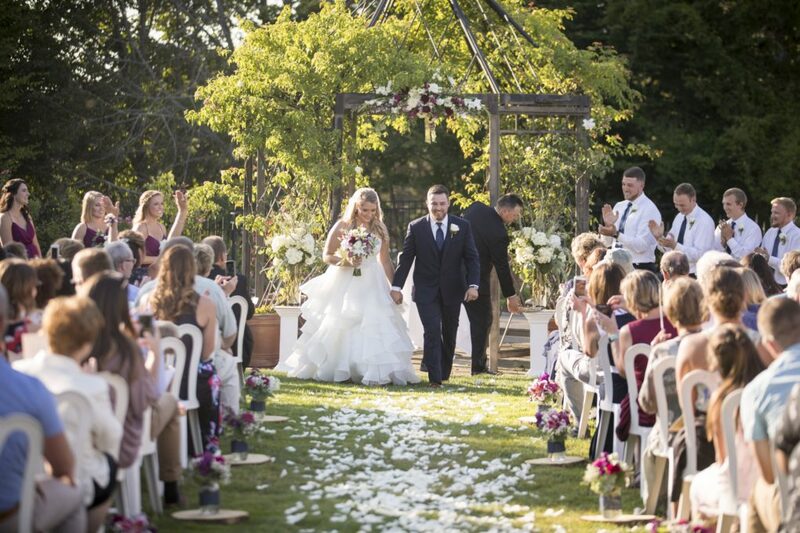 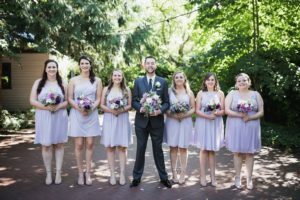 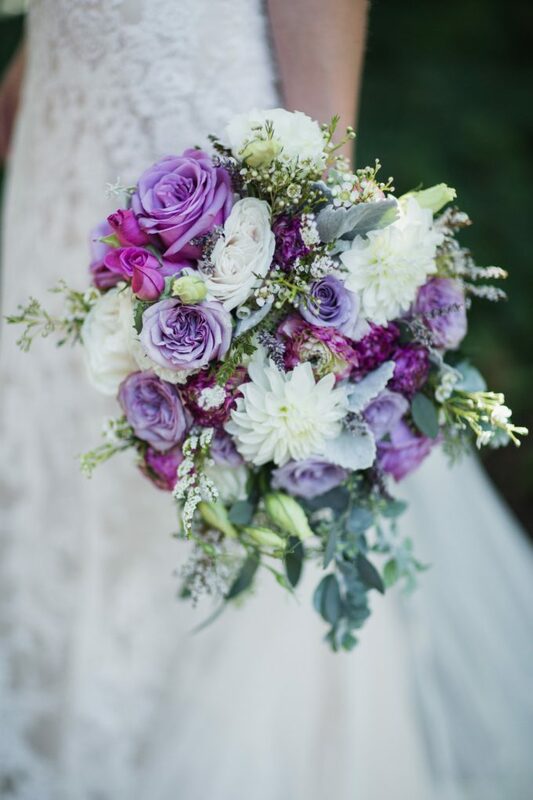 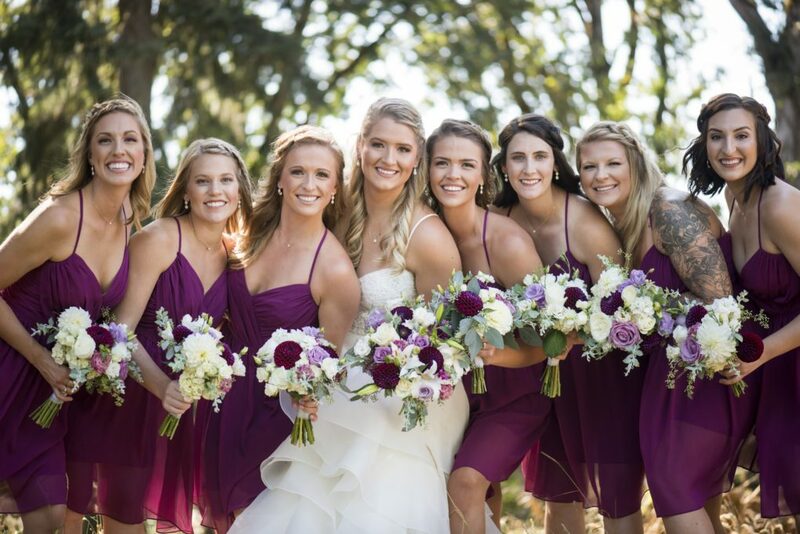 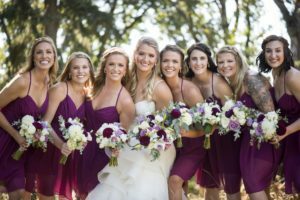 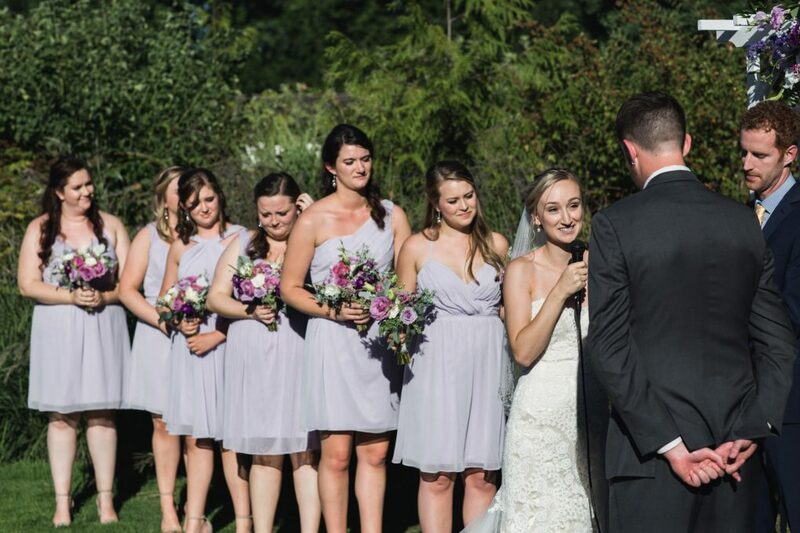 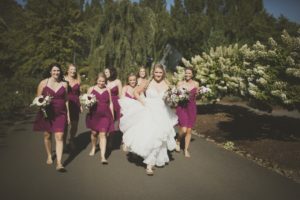 Erin and Neil had a stunning outdoor Oregon wedding filled with gorgeous white and purple roses, dahlia, baby’s breath, and mums. 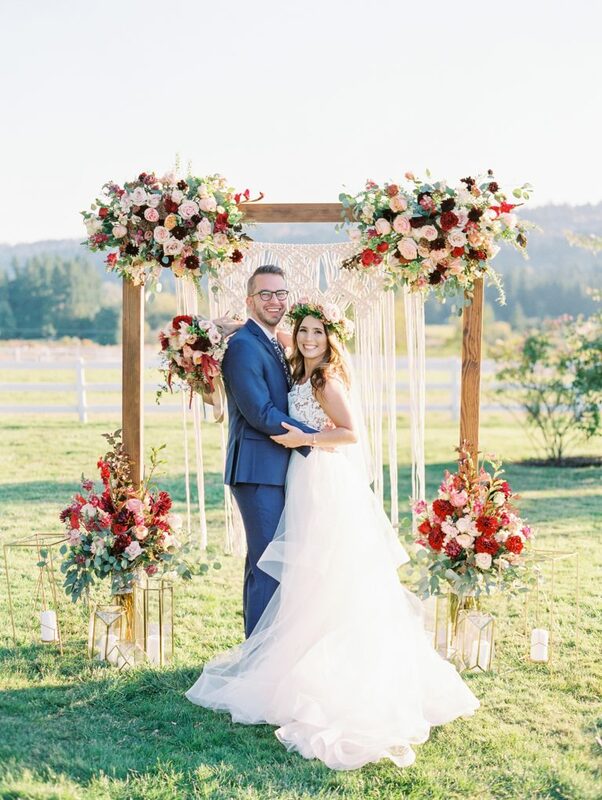 We love the romantic vision they had for their florals! Such a beautiful day! 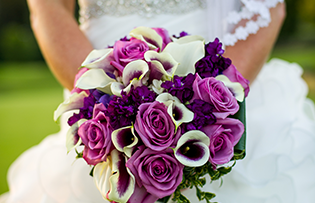 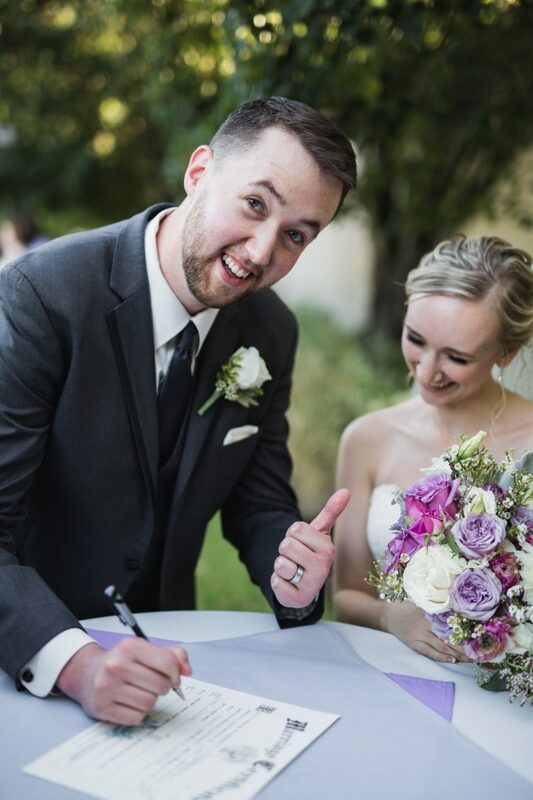 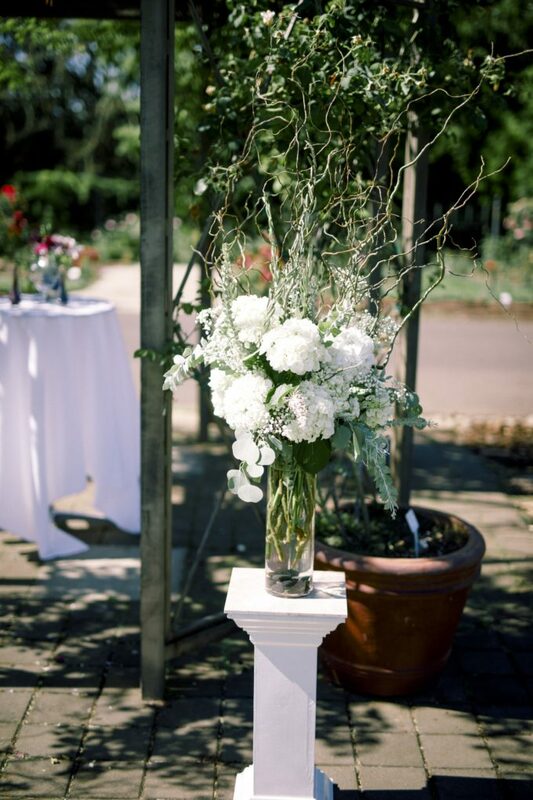 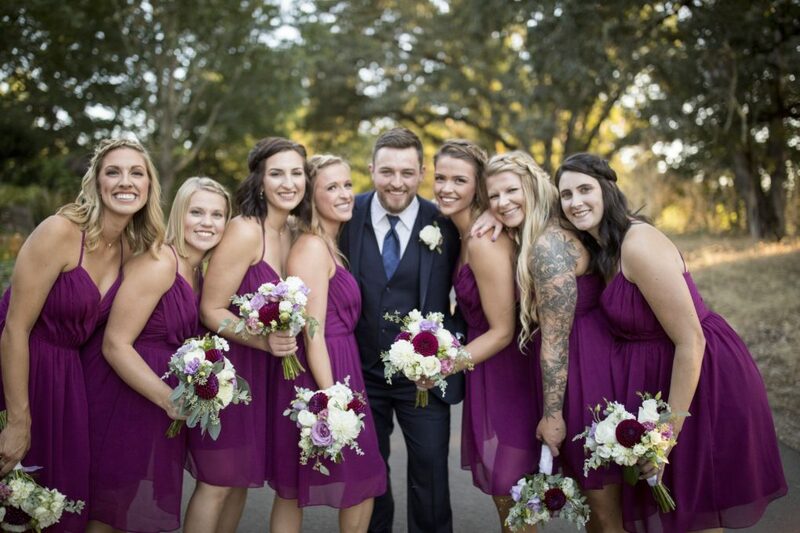 We aboslutely loved working with Julie and Jake on their wedding flowers this summer! 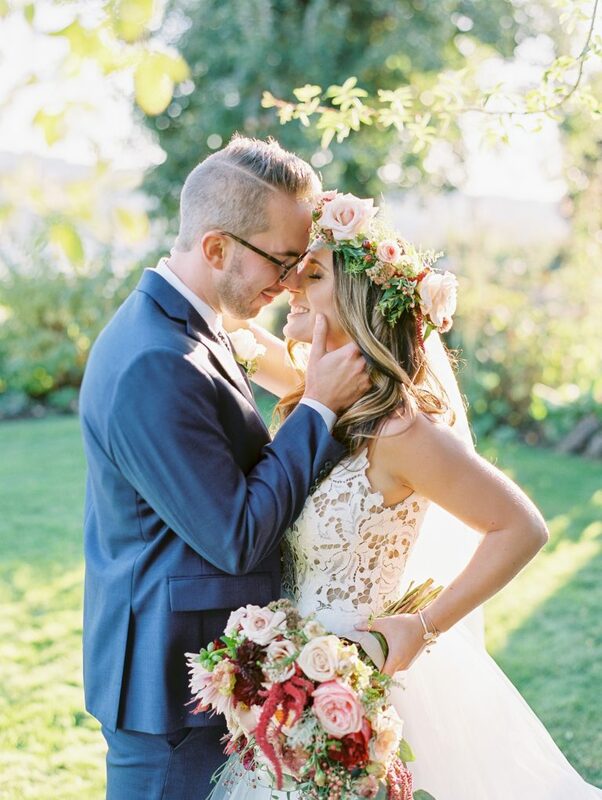 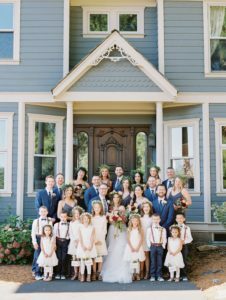 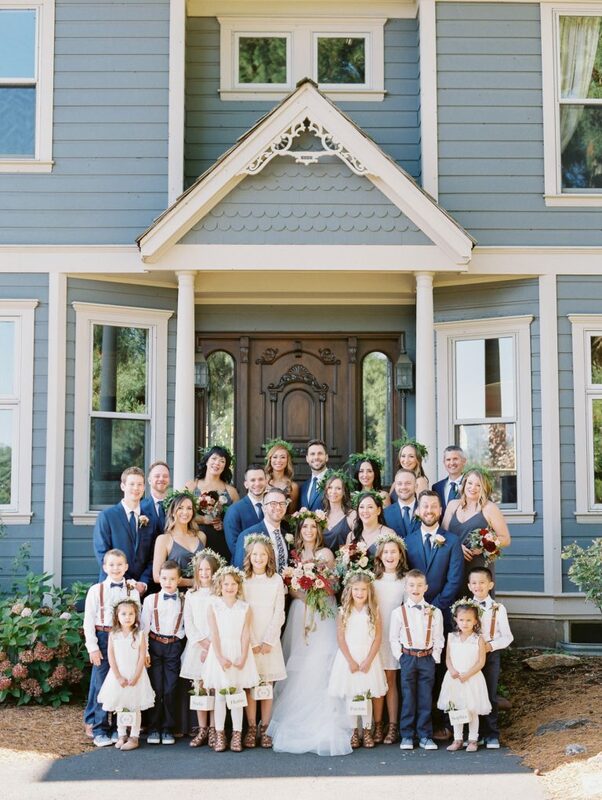 Their wedding style and color pallet were boho chic with blush, red, pink, and green! 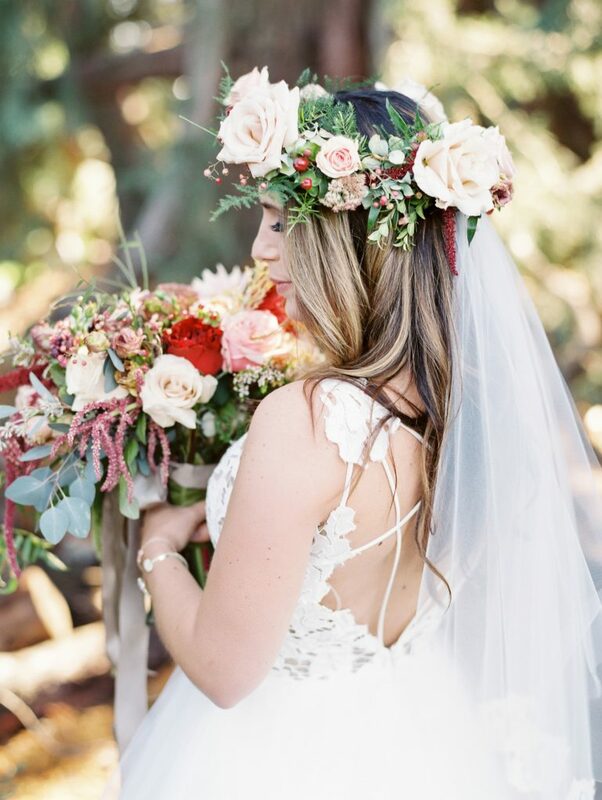 With red and pink roses, dahlias, and berries, Julie wore a beautiful floral crown to compliment her bouquet. 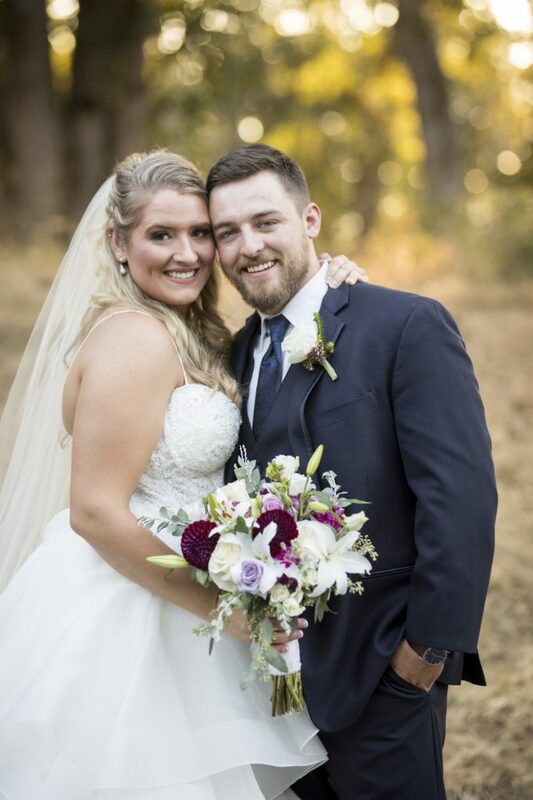 Congratulations Julie and Jake!